We here at Excel would like to congratulate the three most recent Excel students to have claimed our $1,000 scholarship for receiving perfect scores on the SAT and ACT! Sameehita Mohan achieves a Perfect SAT score! 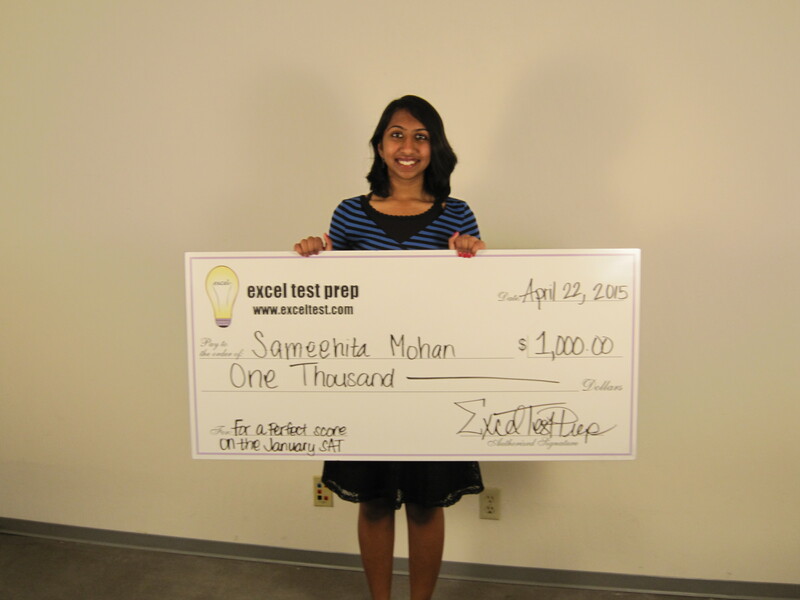 Sameehita Mohan, a student at Archbishop Mitty High School in San Jose, scored a perfect 2400 on the January SAT. She hopes that the score will help her get into top-notch programs for the subjects she loves: computer science and business. She said that Excel’s SAT essay writing class was a standout part of the course for her: “[Essay writing] was especially helpful, because I didn’t really know how the SAT essays were structured.” When asked what advice she would give to other students, she said practice was the most important and credited Excel’s SAT bank in ExamClub with helping her reach her goal. 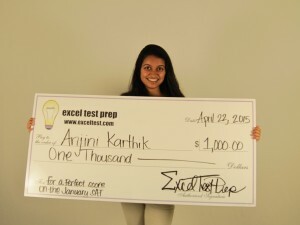 Anjini Karthik earns a Perfect SAT score as well! 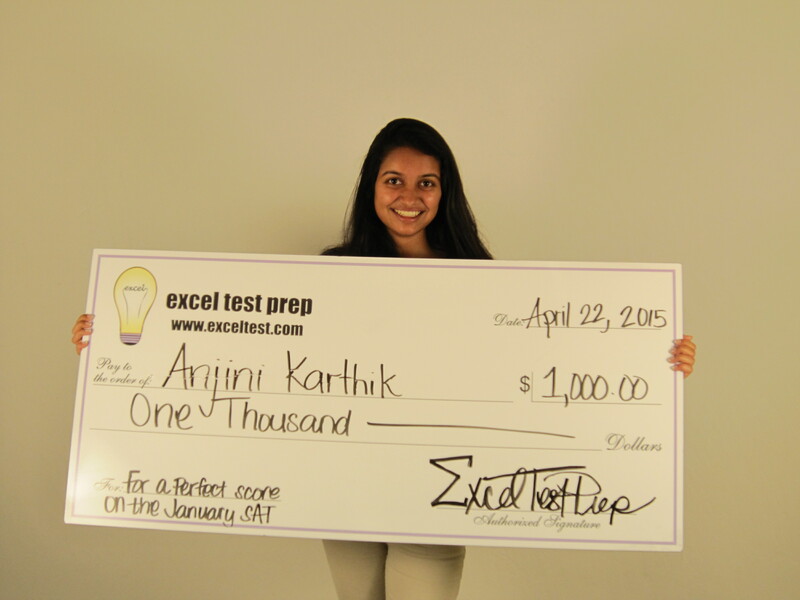 Anjini Karthik, a student at Saint Francis High School, also received a perfect 2400 in January. She is passionate about the STEM fields and also enjoys writing. Her STEM interest started at an early age: “Outside of class, I’m very involved in scientific research. I’ve actually been conducting independent research projects since sixth grade.” Karthik is currently the science editor of the campus newspaper at Saint Francis. Additionally, she is an accomplished dancer and mentors middle-schoolers in an after-school STEM enrichment program. Don’t forget ACT! 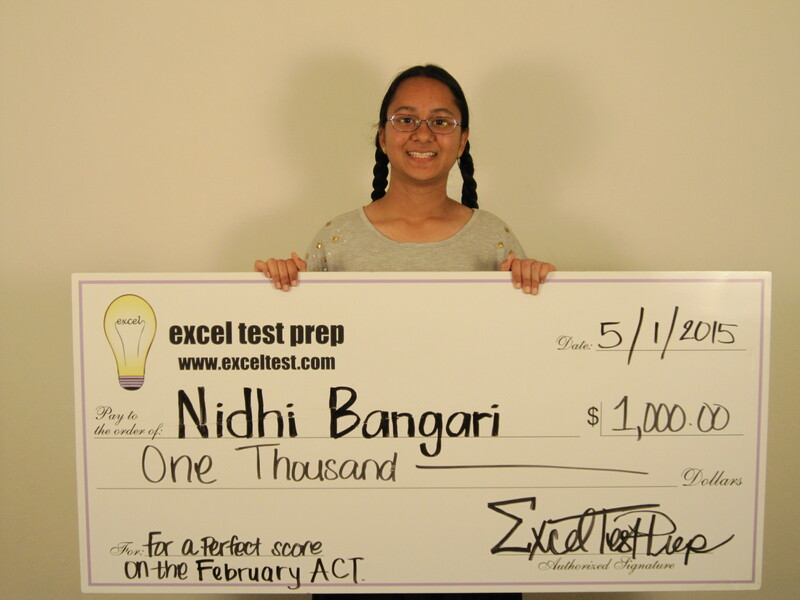 Nidhi Bangari acquires a Perfect ACT score! 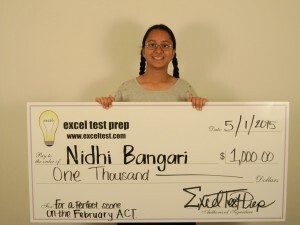 Nidhi Bangari is a student at Cupertino High School who received a perfect 36 on the February ACT. She doesn’t know what she wants to major in yet, but she figures it will be something in the sciences—she enjoys her high school’s labs. Other than her core classes, she participates in her school’s debate program and FBLA. Her main form of debate is Parliamentary, which requires debaters to quickly analyze and summarize sources based on topics that they only learn about right before the round starts. Seems like good practice for the ACT! We wish our winners all the best in their college careers and beyond!